Note: Manufacturer no longer provides this product. Mark II Training Sail is no longer available — sorry. Shoreline Sailboats is pleased to announce the release this January, 2015. 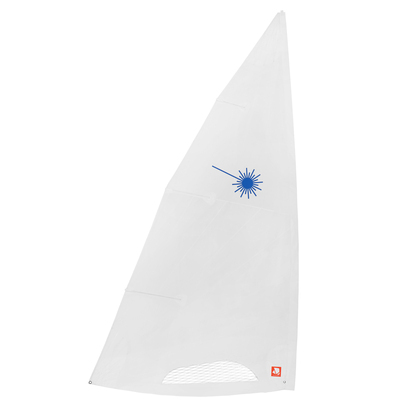 The Mark II is more durable due to its bi-radial construction, it is manufactured out of longer lasting 4.5 ounce Dacron cloth with optimized sail patches and the new luff tube design is easier on the upper spars. 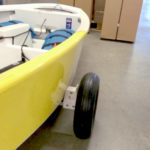 Note: With each purchase the consumer will also receive a rebate coupon towards their purchase of a class approved Mark II sail, if and when it becomes available. Coupon will be valued at $80 redeemable through dealer or directly through LaserPerformance. After class approval, the Mark II starburst will revert back to red. Don’t miss a great opportunity, order them as soon as you can.